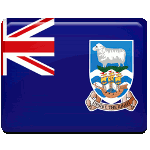 The Falkland Islands are an archipelago in the South Atlantic. The Falklands are a British overseas territory with internal self-government. The archipelago was discovered in the late 15th century. Throughout the islands' history, several countries claimed their sovereignty. Finally, Britain re-established control of the Falklands in 1833. Argentina has been disputing the sovereignty claim ever since. The dispute escalated in 1982. On April 2, Argentine forces invaded and occupied the islands, beginning the Falklands War between Argentine and the United Kingdom. The war lasted for seventy-four days and resulted in British victory. On June 14, 1982, Argentine surrendered and the islands returned to British control. On June 14, islanders celebrate their liberation and honor the servicemen who helped return the islands to British control. Liberation Day is typically marked with a service at Christ Church Cathedral and a solemn wreath-laying ceremony at the Liberation Monument in Port Stanley, the capital of the Falkland Islands.